Few artists were better prepared to confront the confusion of life in 2019. With their new album VOL. 4 :: SLAVES OF FEAR – produced by longtime collaborator Lars Stalfors (Lil Peep, St. Vincent, Bob Moses) and OUT NOW via Loma Vista Recordings / Caroline Australia – HEALTH have not only made the heaviest, most genre-obliterating album of their career, they’ve documented just how frightening it feels to be alive right now. 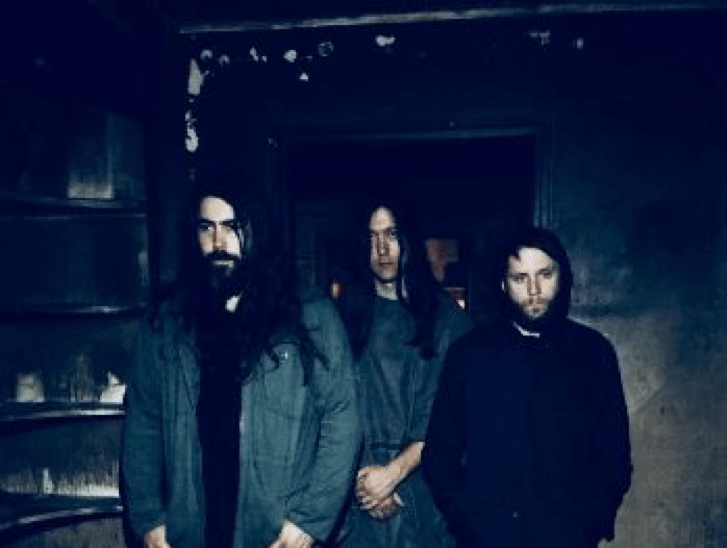 The LA-based band – consisting Jacob Duzsik, John Famiglietti, and Benjamin Miller – has always pushed the edges of aggression. From its twitchy 2007 debut, through its groundbreaking 2012 score for Rockstar Games’ Max Payne 3 and Grand Theft Auto V’s original ‘High Pressure Dave’, to 2015’s acclaimed LP DEATH MAGIC, the L.A. band snuck beauty and rigour into blinding noise. They draped moody violence over trap beats and warehouse raves alike. VOL. 4 :: SLAVES OF FEAR uses every tool in contemporary production to make a terrifying, exhilarating LP. Few artists were better prepared to confront the confusion of life in 2019. From the sample-triggered thrash metal of “THE MESSAGE” and “GOD BOTHERER,” to the bone-scraping sub-bass of “FEEL NOTHING” and “BLACK STATIC,” this is HEALTH at its most lacerating yet. With Lars Stalfors, they’ve upended their sound palette for our post-everything era: “NC-17” feels like Arabic bass music dragged through hell; “RAT WARS” groans with derelict, slow-rolling L.A. funk. But beneath all of that, VOL. 4 :: SLAVES OF FEAR also has some of the most vulnerable and evocative songwriting of HEALTH’s career. In the lyrics, singer Jake Duzsik confronts death, isolation and hopelessness with an uncommon candor and intimacy. Album closer ‘DECIMATION’is the most radical move in the band’s catalog to date: a gorgeous guitar ballad, a plea for purpose and meaning in a time that makes both feel impossible.